Tee-off at one of two PGA 18-hole golf courses in the Heart of Phoenix. Rolling fairways and impeccable sportsmanship. Pristine lakes and lush beauty. At the Arizona Biltmore, both the Adobe and The Links golf courses offer bold challenges and enjoyable play to even the most demanding golfer. Tee off with us and appreciate the game the way it was meant to be played - in style. 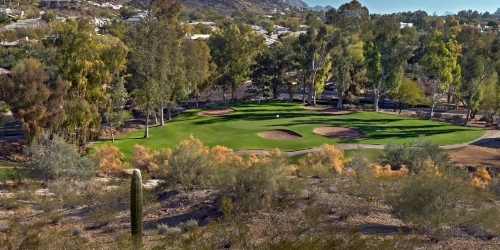 Arizona Biltmore Country Club reserves the right to change price and offer at anytime. Prices and offer are subject to change without notice. GolfTrips.com is not responsible for errors posted in this golf package.